One of the most important vitamins needed by our body is vitamin E. Our body needs it to keep the immune system strong against viruses and bacteria. When it comes to healthy living, it is imperative to have a nutrient-dense diet. A diet rich in various vitamins and minerals can prove to be quite beneficial for our overall health. One of the most important vitamins needed by our body is vitamin E. Our body needs it to keep the immune system strong against viruses and bacteria. If you happen to be vitamin E deficient, then you're more likely to experience digestive problems, hair loss, leg cramps and dry skin. Vitamin E oil can play a great role in enhancing your skin's health. Vitamin E oil is known to block free radicals from the body, which play a large part in the ageing process. It also acts as a cleansing agent that could possibly treat sunburns and lighten dark spots as well. If you wish to have a soft, supple and radiant skin, then you must include vitamin E-rich foods in your daily diet. Here is a list of 5 such foods. Read on to know more about them. Spinach is a powerhouse of various essential vitamins and minerals, especially vitamin E. Including spinach in your daily meals can provide you with a considerable dose of vitamin E. You can have it cooked or raw in the form of salads. This creamy and rich fruit is loaded with fibre, magnesium and vitamin E. You can mash it up as guacamole and savour it by spreading it on toasted bread slices. Include it in your daily diet and watch out for results. Talking about vitamin E, one cannot miss almonds. 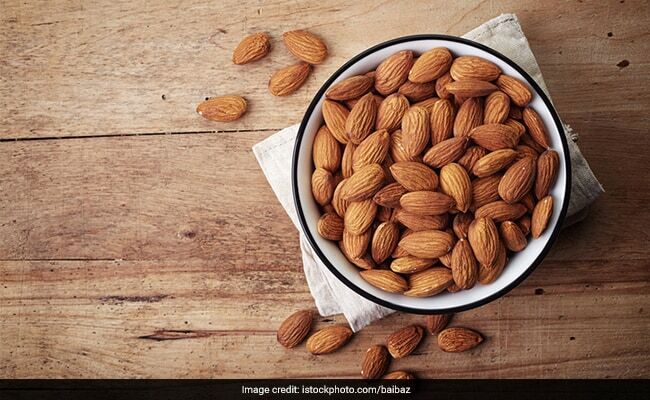 Almonds are an excellent source of vitamin E. Its oil can come to great help in keeping dry skin at bay. So if you have a dry skin type, then bring almond oil to your rescue. This nutritional showstopper is packed with health benefiting properties. Apart from being rich in vitamin E, this wonder veggie is said to have anti-cancer properties and also acts as one of the best detox foods. Sunflower seeds contain vitamin E and folate in good amounts. If you are suffering from hair loss and have a dry skin type, then start adding these tiny seeds in your daily meals to see effective results. It also has antioxidant properties that fight against free radicals and keeps inflammation at bay.